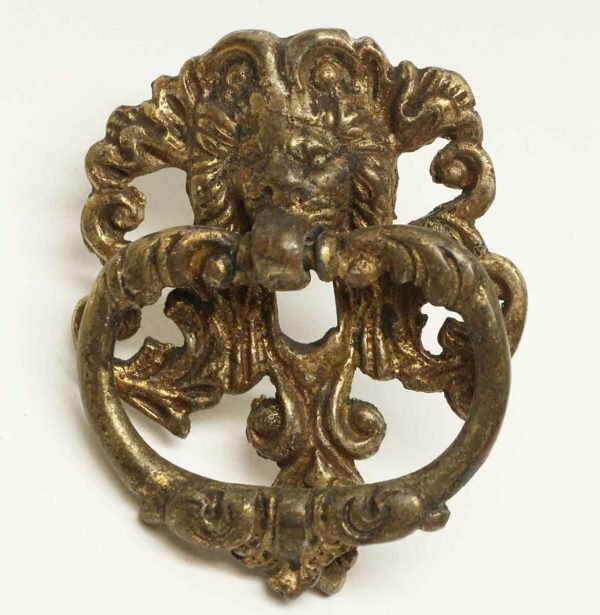 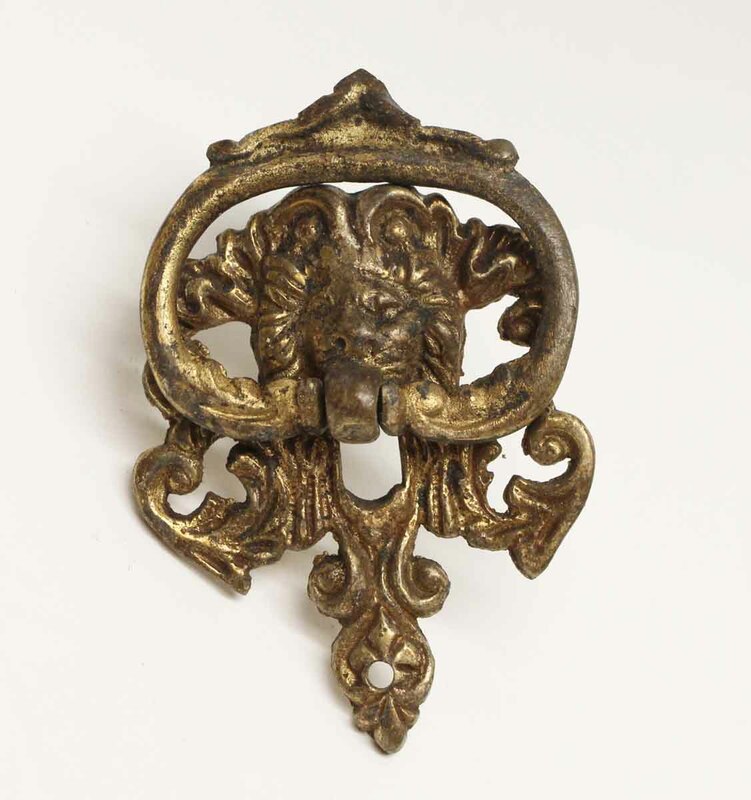 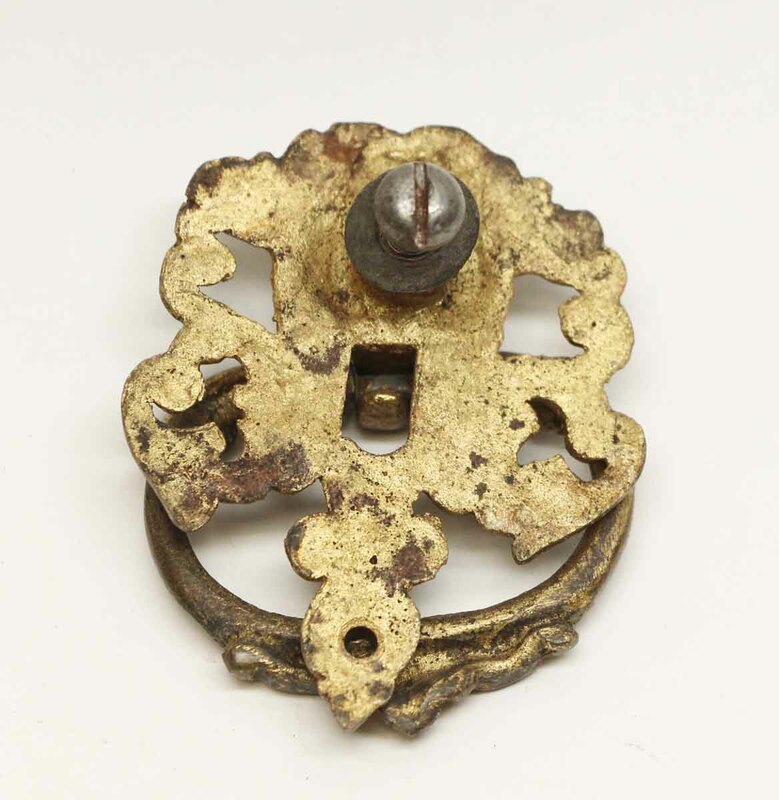 Antique ornate brass lion head pulls with a round handle and a dark patina. 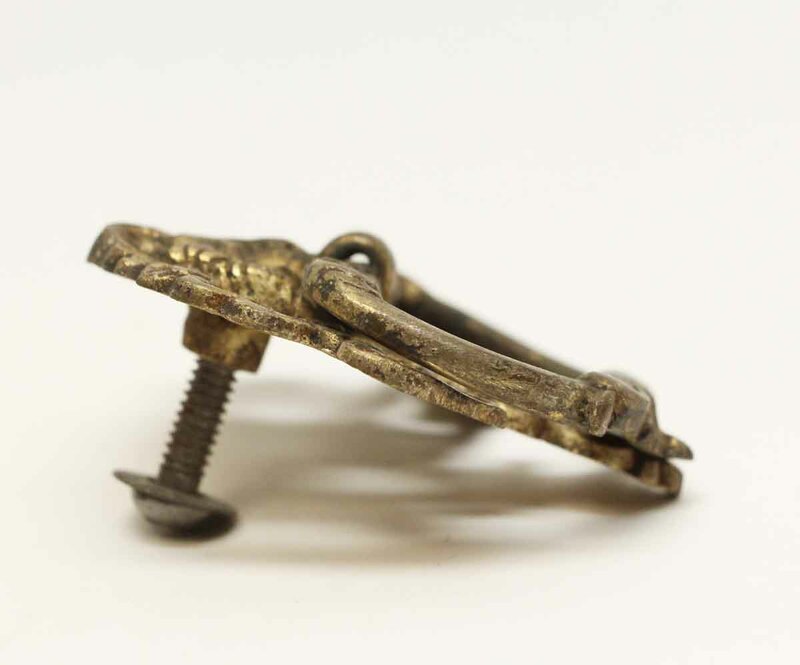 One is bent. Priced each.